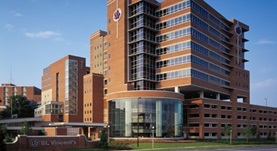 Dr. George Eisenhart is a renowned pathologist in Birmingham, Alabama. He received the medical diploma from the University of Nebraska College of Medicine in 1963. After obtaining his medical degree, he did an internship at Alegent Health Immanuel Medical Center. He completed his medical education with a residency in psychiatry at San Antonio Uniformed Services Health Education Consortium and a residency in general surgery at Central Iowa Health System – Methodist. He is certified by the American Board in anatomic and clinical pathology and hematology. Currently, he works at Trinity Medical Center. He also published the article “Conflicting results in the use of antibody panels “ in 1998. Dr. George Eisenhart has contributed to 1 publications. Conflicting results in the use of antibody panels. Eisenhart, G. V.; Am J Clin Pathol. 1998 Jan.